Home » Photography Techniques » What is Moiré? 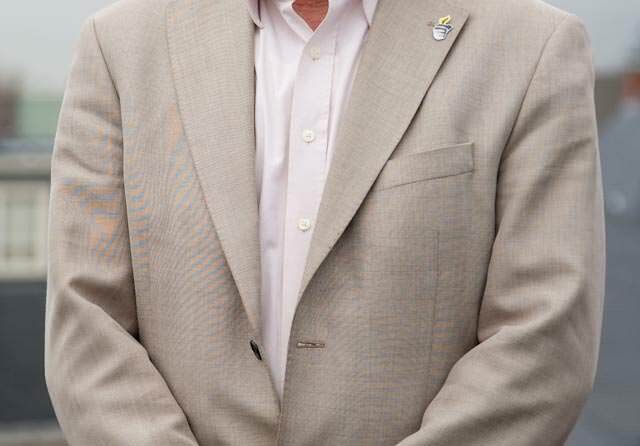 See how noticeable the moiré pattern is on the jacket? That’s moiré for you, at its worst. Moiré is almost never seen in nature, but is very common in everyday objects and items around us – you might see it in all kinds of fabric, straight hair, architecture, etc. You might have even seen it on your television. In photography, moiré happens mostly because of the way light reaches the sensor and how the sensor interprets the light through the bayer interpolation filter. While there are methods to effectively reduce moiré, there is no easy way to completely remove it in post-processing software. Lightroom 4 will ship with a moiré reduction tool and Nikon will also ship its next version of Capture NX with built-in moiré reduction functionality, but neither one will be able to fully get rid of the worst moiré pattern occurrences. I found your web site quite by accident when I opened up your article on the D700 vs. D800. Your photographic tips are right on the money and answer many on the questions I have had. Thank you for doing what you. I am I new fan and look forward to your new articles. Is Moiré the same as interference of light? Also, can you please explain the difference between using sRGB and Adobe RGB? Not really – both do involve two repetitive patterns that gradually go from matching to not-matching. Interference is light acting on light, so it matches at the wavelength of light itself – about 1/2000 mm. 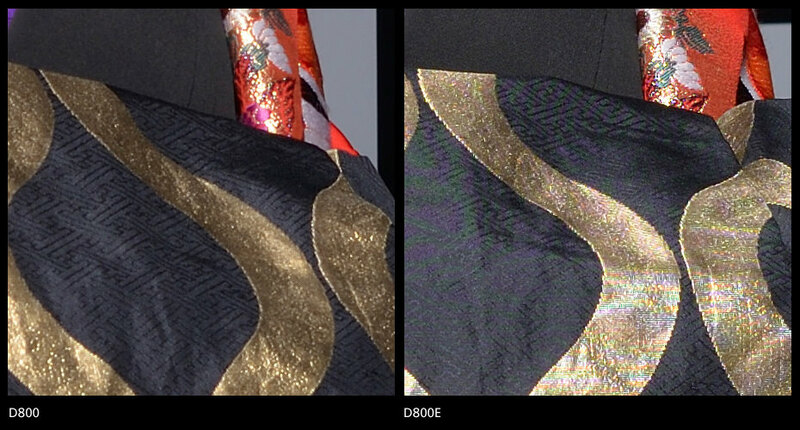 Moire matches the image of the fabric to the spacing of the sensor elements – 1/200 mm for a D800. So the scale of Moire is 10x bigger. He usually makes sense, but is occasionally off-mark. I liked your explanation about Moire patterns. Also, your visual about Nikon D800E indicates that it is prone to such patterning though I read, elsewhere, that it is/may not. Having said that, I would like your advice on whether I should go for Nikon D7100 or the older D7000 thereby sacrificing some sharpness? “Interference is light acting on light, so it matches at the wavelength of light itself – about 1/2000 mm. So could we actually affirm, that when we look at a *digital* moiré pattern, it’s actually somehow the sensor pattern (either in a camera or a scanner) that we’re seeing? Since the detail captured matches the exact sensor spacing? Hi, I’m looking at Nikon D750 vs D810, and D810 doesn’t have an anti-alias (Low-Pass) filter. Because the D810 doesn’t have this filter its pictures are supposed to be sharper and have more detail, but it can have moire effect on its pictures. Are the pictures from a D810 sharper than the pictures from a D750 camera that has an anti-alias (low-pass) filter? If I get the D810 camera and use lightroom or photoshop to fix the moire effect, will the pictures be effected after doing this fix, like less sharp or the colors look different or wrong? Have you tried Fujifilm X ? even the old one such as X-Pro1, X-E1 and even cheap X-M1 ? Like your crisp to the point tips. I am a just retired banker fiddling with DSLR (gifted by my daughter) to pass time and I am always trawling the internet for photography tips. I have a Nikon 35mm 1.8g and a sigma 18-250mm zoom lens. My question is: why is the Nikon 35mm sharp compared to the Sigma also at 35mm?Regards! Um site de fotografia que me apareceu por acaso mas que pode ser interessante.